Kevin A. Viaña, a Co-Leader of Marshall & Sterling’s Construction Practice Group and Vice President with their Specialty Risks Division, has over 30 years of experience in servicing the insurance, bond and risk management needs of the Construction Industry. Kevin has served in almost every position of Underwriting and Sales, on both the Insurance Company and Brokerage sides of the business. 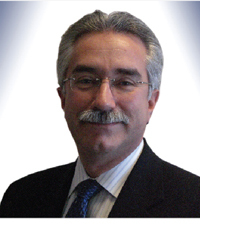 His specialties include all forms of insurances, surety bonds and risk management. Prior to joining Marshall & Sterling, Kevin was the Superintendent of the Western New York Surety Bond Offices - Rochester and Buffalo - of the Aetna Casualty & Surety Company (now known as the Travelers Casualty & Surety). He received a Bachelor of Science Degree in Business Administration with a concentration in Finance and a minor in Accounting from Marist College. He maintains a Construction Risk and Insurance Specialist Designation (CRIS®) from the International Risk Management Institute and an OSHA 10 – Hour Construction Safety and Health certification. In addition to serving on the Board of Directors/Governors, and as an active committee member, of various Construction Trade Organizations including the Associated General Contractors of America – New York State (AGC-NYS) and Northeastern Subcontractors Association (NESCA), Kevin is also on Agency Advisory Panels of various Insurance Companies and Insurance Trade Associations, and has given numerous seminars across the country on various surety bond, insurance, risk transfer and risk management topics.